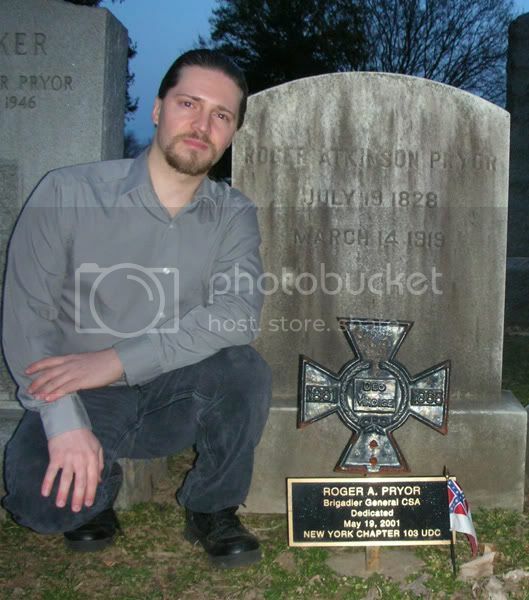 I visited the grave of Confederate Roger Atkinson Pryor yesterday (March 18 ... the anniversary of his passing was just a few days prior) at the Nassau Cemetery in Princeton, NJ. 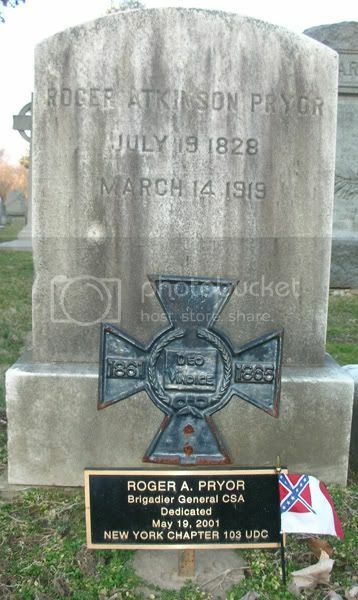 Roger, a Virginian, was a member of the United States House Of Representatives and later, a member of the Confederate States House Of Representatives. 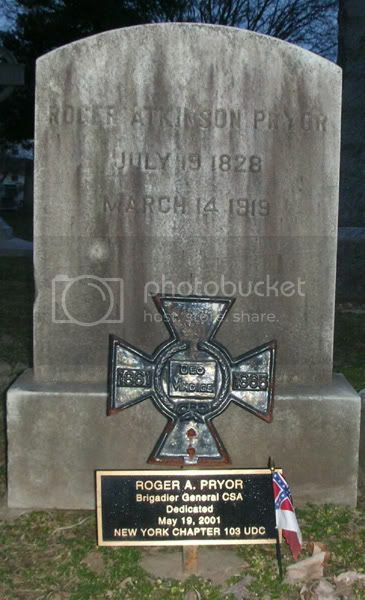 He was a Brigadier General for the Southern Confederacy, but resigned after he had a falling out with Jefferson Davis. Believe or not, he later joined a Calvary Regiment with a significant decrease in rank - he enlisted as a Private and Scout! He was eventually captured and released on parole by Abraham Lincoln. In the 1890s, he served as a Justice in the New York Supreme Court. 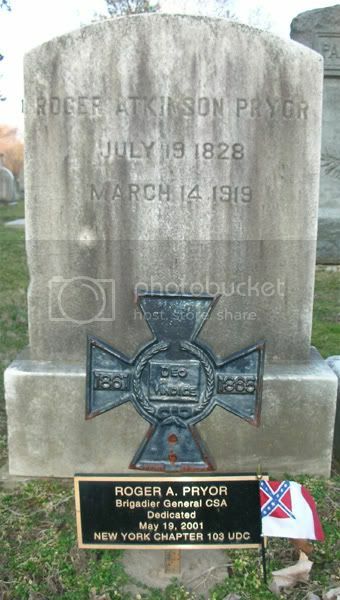 Quite a surprise to see a Veteran of the South buried in New Jersey! Some blooper footage where I call the cemetery a museum! !